Here are instructions for installing topojson and GDAL binaries for Windows 8. These tools are helpful if you want to mess around with map visualizations in d3.js. Parts of these instructions are taken from this helpful stackoverflow thread. Install GDAL and MapServer binaries from this location at gisinternals.com. This was the latest stable version as of 8/8/2015. On my machine, gdal was installed to <location of unzipped archive>\bin\gdal\apps. The batch file in the root of the install should set paths correctly. Install npm using the directions on npmjs.org. Interesting shapefile data can be found at naturalearthdata.com, as explained in this excellent tutorial. Here is a workbook that has the finished product if you don’t want to follow along. A box plot shows the median of each data series as a line, with a “box” whose top edge is the third quartile and whose bottom edge is the first quartile. Often we draw “whiskers” at the top and bottom representing the extreme values of each series. 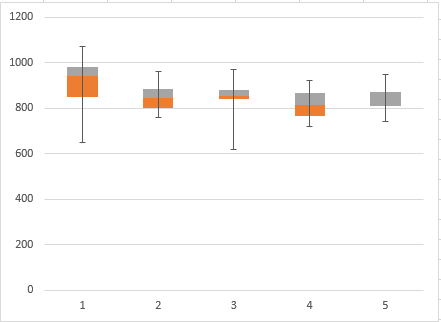 If we create an auxiliary data containing this data and follow my advice from my Error Bars in Excel post, we can create a nice looking box plot. Step 1: Calculate Quartiles and Extremes. The bottom of each box is Q1. The ‘middle’ of each box is Q2 (the median). Since this is a stacked column chart, we actually want to compute Q2 – Q1. The top of each box is Q3. Since we want to represent this as a “slice” in the stacked column chart, we want Q3 – Q2. The error going “down” in the chart is Q2 – min, since the whiskers start at the median. The error going “up” is max – Q2. 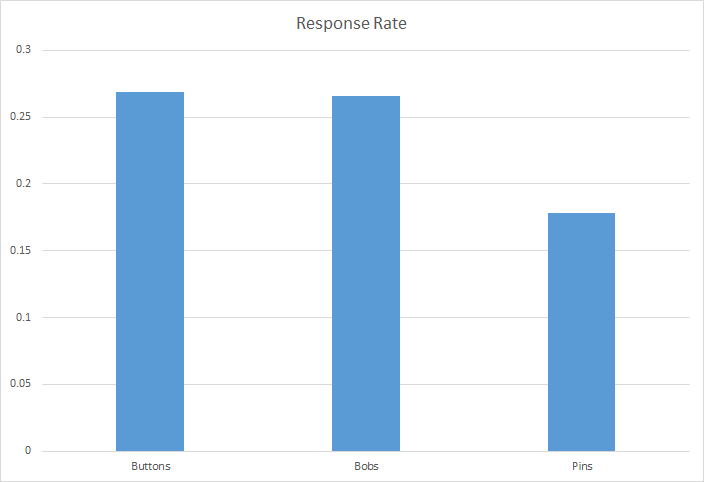 Step 3: Create a stacked column chart. Step 4: Make the chart look like a Box Plot. This is simple: the bottom bar (the blue ones in my example) need to go away. So right click on a blue bar and change both the outline and fill to nothing. That’s it! You can of course customize the other bars as desired. Again, here’s the complete workbook in case you got lost. 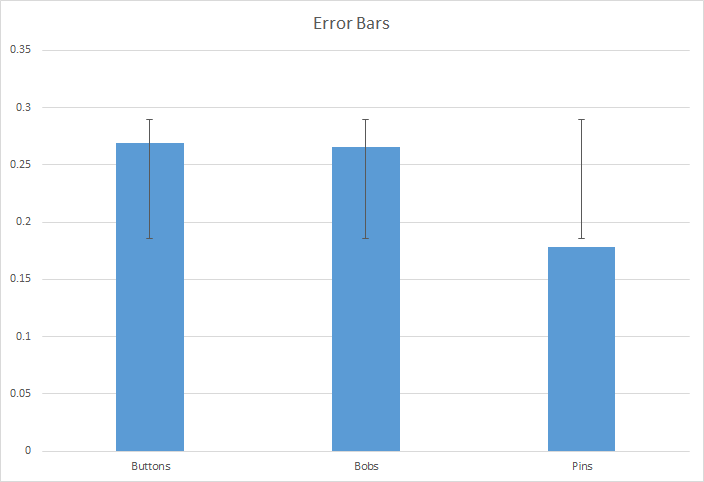 Excel 2013 makes it easier than ever to create error bars. Hooray! This post shows you how to add them to your charts. 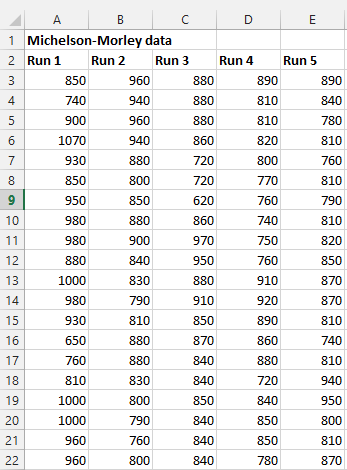 The spreadsheet with the chart and backing formulas can be downloaded here [link]. If you are looking for a more detailed reference, I recommend Excel Charts by John Walkenbach. I also recommend this excellent post by Peltier Tech. 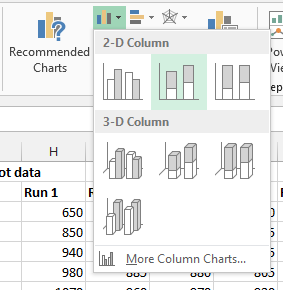 When you create a chart in Excel 2013, three buttons appear just above the upper-right hand corner. 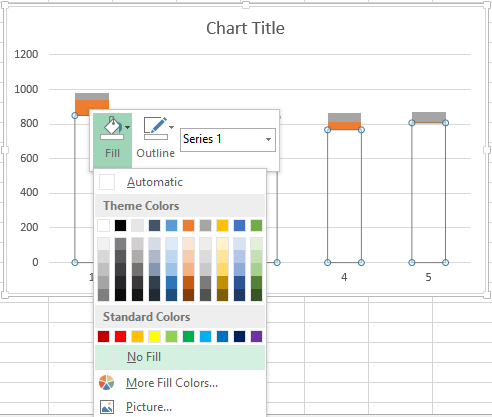 Click on the “plus” button to add new chart elements – check “Error Bars” and error bars will magically appear on your chart. 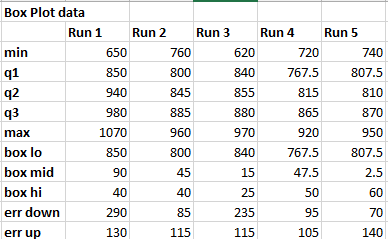 Usually I want to supply my own values for the top and bottom based on formulas. Suppose I want to display 95% confidence intervals using the series data. 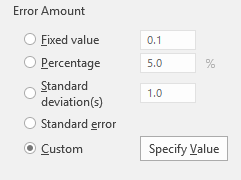 The “Positive Error Value” range selector lets me enter in a constant value or more interestingly, cell range that defines the top of the error bars, as an offset from the bar. 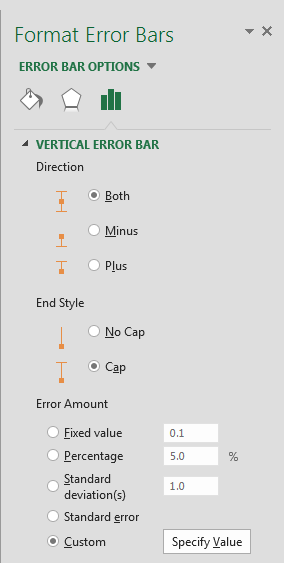 Similarly, “Negative Error Value” defines the bottom of the error bars. Again, these are offsets, not absolute values. Therefore I want to use F4:H4 for both. 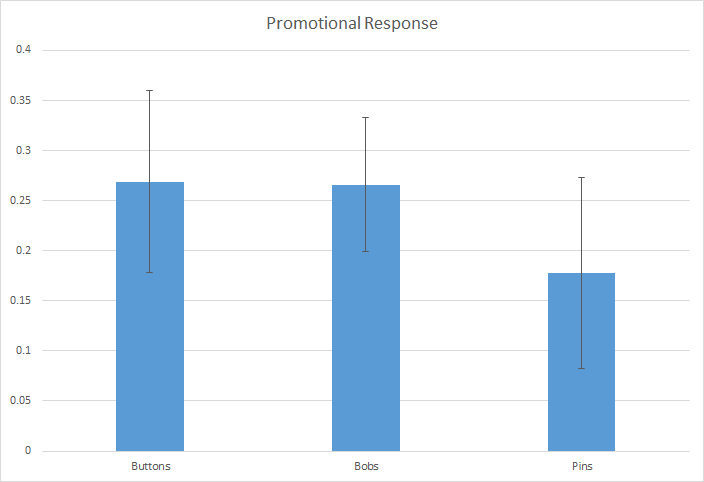 Select those ranges, click OK and voila: a nice looking chart with error bars. “Fixed value” and “Percentage” are obvious. “Standard Error” computes the top and bottom using the standard error of the corresponding series. The documentation describes the formulas used by Excel. 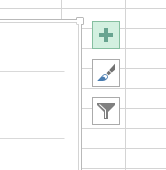 This feature was not widely advertised in the Excel 2013 release, but it’s really useful. Charts just look better, too. All in all, some nice improvements!